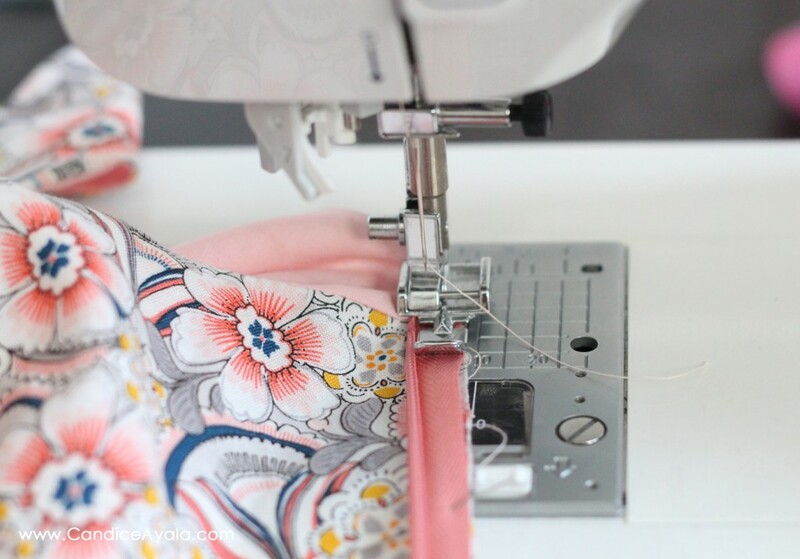 Before we begin, let’s go over a few sewing terms as it applies to this tutorial. This is just to help you follow along, especially if you’re a beginner. INVISIBLE ZIPPER – an invisible zipper is a zipper with very fine teeth. It is sewn into a garment in a way that it makes the zipper hidden in a seam, hence the term invisible. 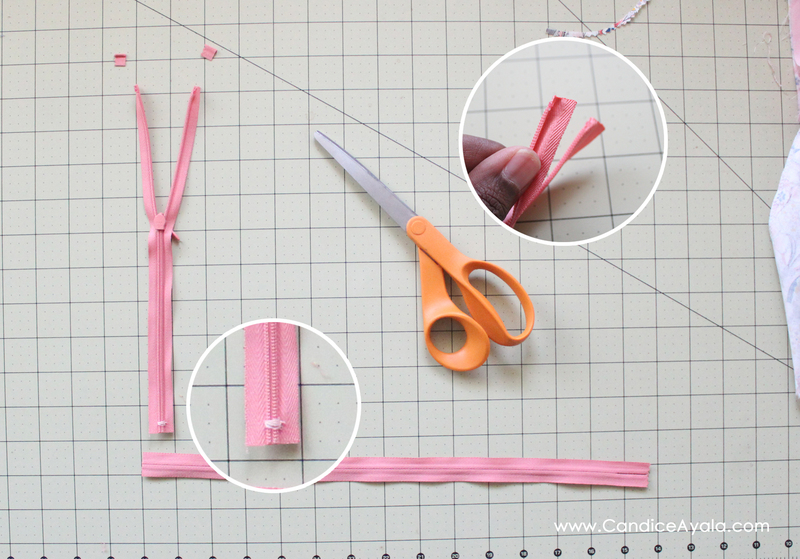 ZIPPER TAPE – the fabric part of the zipper. TAPE ENDS – the fabric part of the zipper, that extends beyond the teeth, at the top and /or bottom of the chain. BOTTOM STOP – the metal device affixed to the bottom end of a zipper to prevent further movement. HEAT SEAL – to seal / stop from fraying using heat. 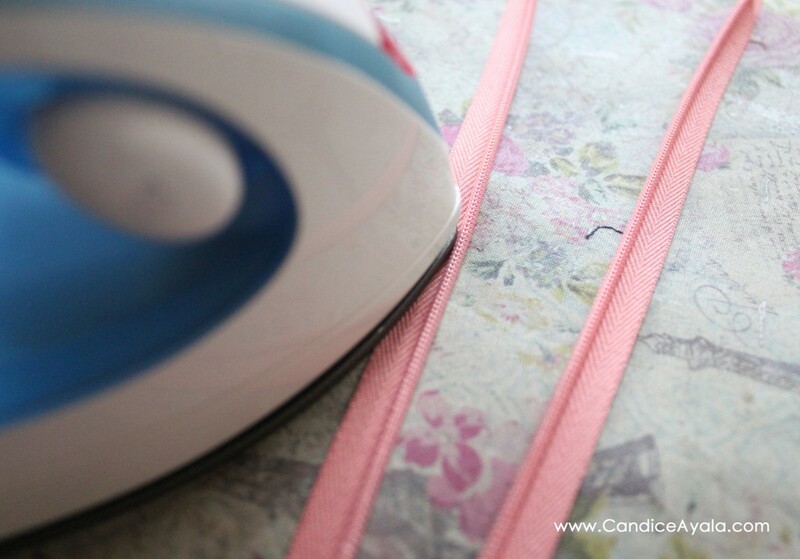 PRESS – a fancier way to say Iron. ZIPPER FOOT – a zipper foot is a specialty foot that comes with your machine that allows you to install zippers, cording and piping. 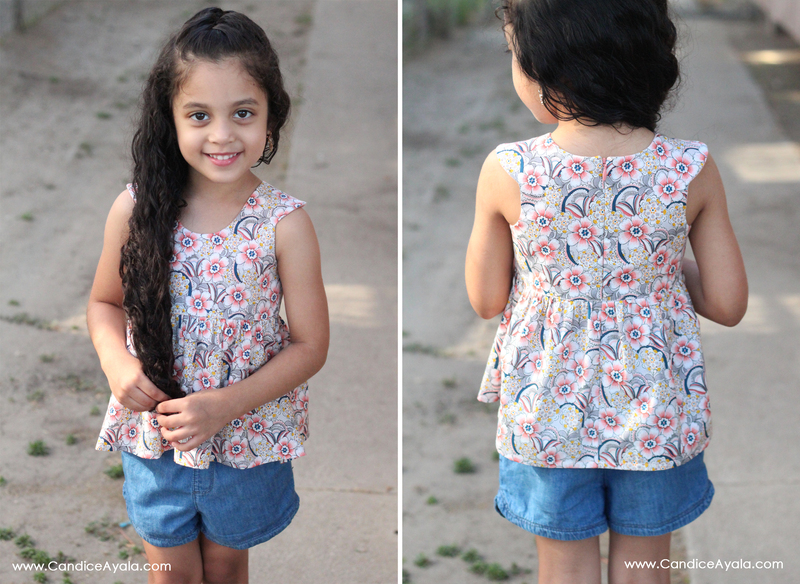 BODICE – the part of a dress (excluding the sleeves) that is above the waist. LINING – is the inner layer of fabric that allow for a neat inside finish by concealing the raw edges of seams. 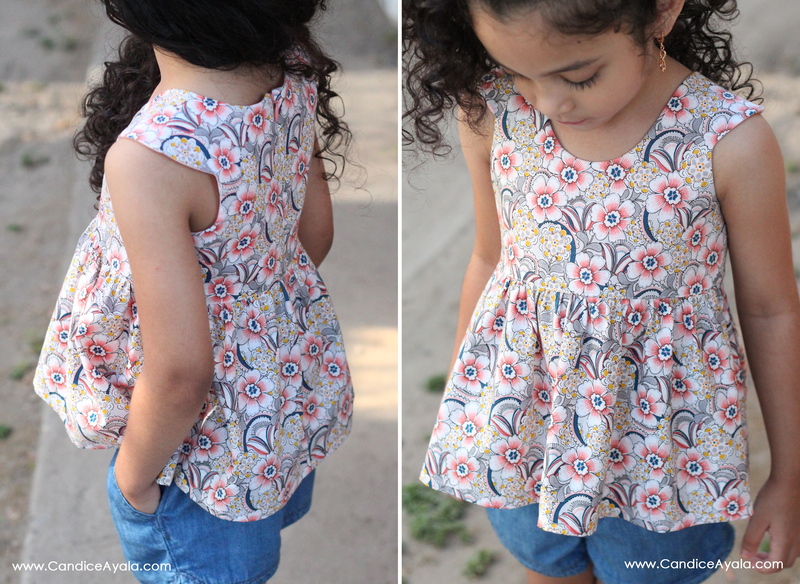 RIGHT SIDE – the “printed” or “pretty” side of the fabric. 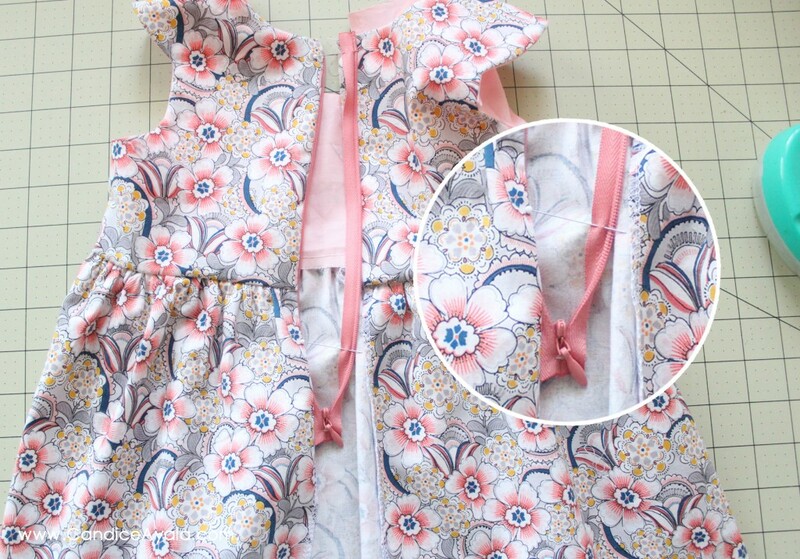 WRONG SIDE – the back or “ugly” side of the fabric. BASTE STITCH - the longest stitch length on your machine that makes a row of continuous stitches. These stitches are meant to be removed. BACKSTITCH - Overlapping stitch made by starting next stitch at middle of preceding one. 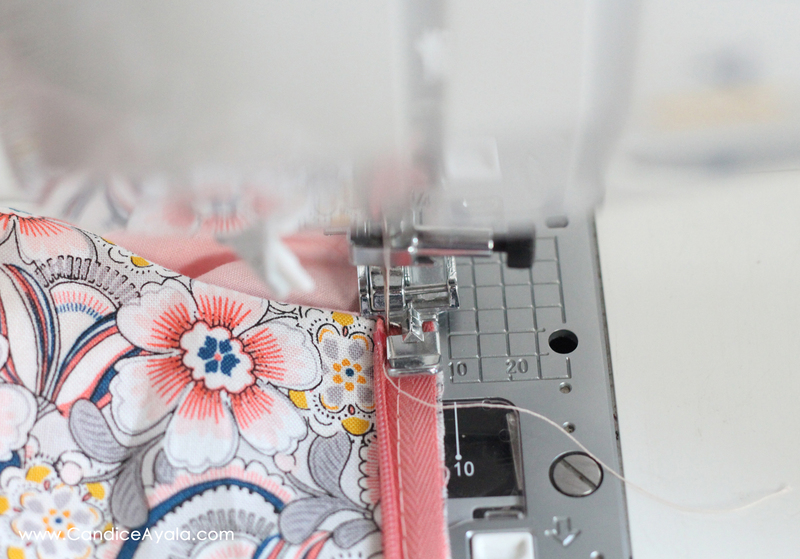 Your machine will have a button specifically for backstitching. Please consult your manual. TOP STITCH – a row of continuous stitches on the ride side of a garment used as a decorative feature. Please note, this method may go against the industry standards of installing an invisible zipper, but it works for me! – call me rebellious! 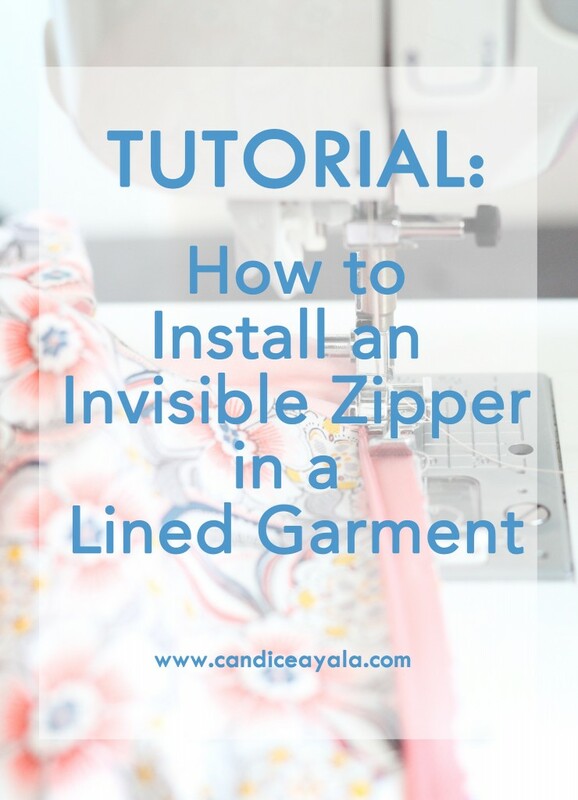 lol Since this tutorial is meant to show you how I install an invisible zipper in a lined garment, I will start the tutorial at the step where the pattern calls for the zipper to be installed. 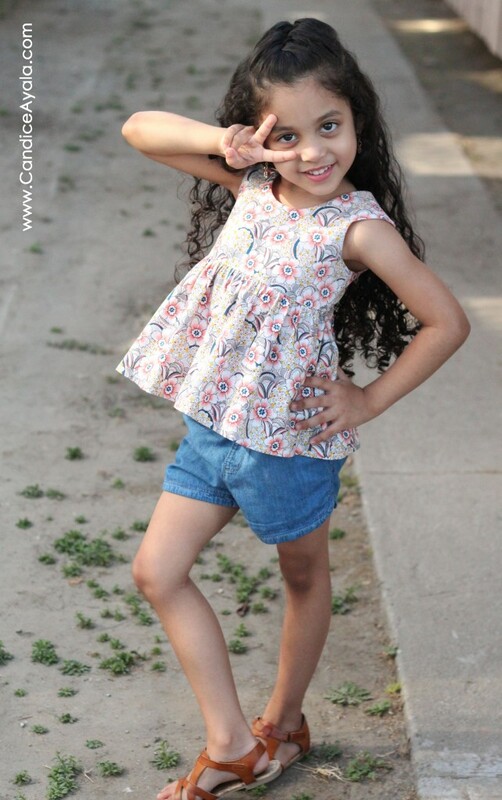 The Tadah Tea Party Dress by Tadah Patterns. 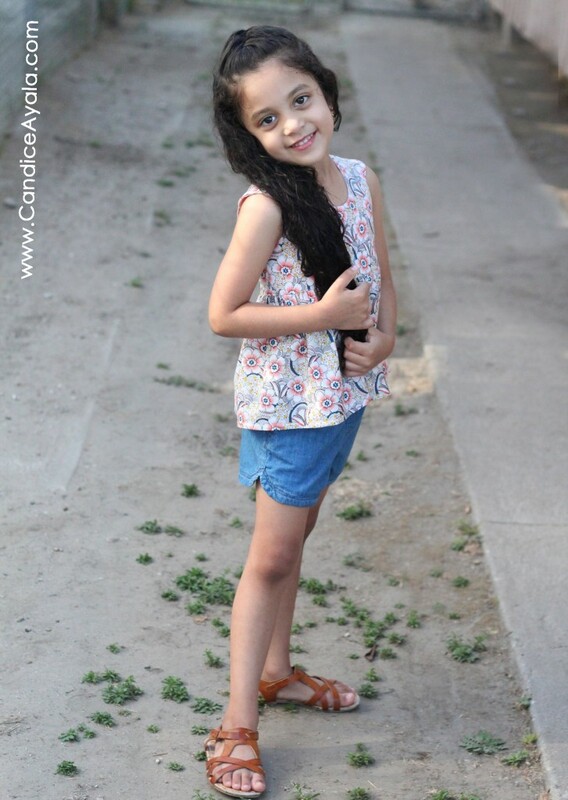 Instead of a dress, I did a top by just shortening the skirt. The Tadah Tea Party Dress pattern does not come with a zipper option, so this could be considered a zipper hack. The only edit I made was removing (folding up) 1/4 inch from the back bodice pattern piece at the closure seam. (pictured below). ALRIGHT ENOUGH OF THE BABBLE, LET’S GET INTO WHAT YOU REALLY CAME HERE FOR! 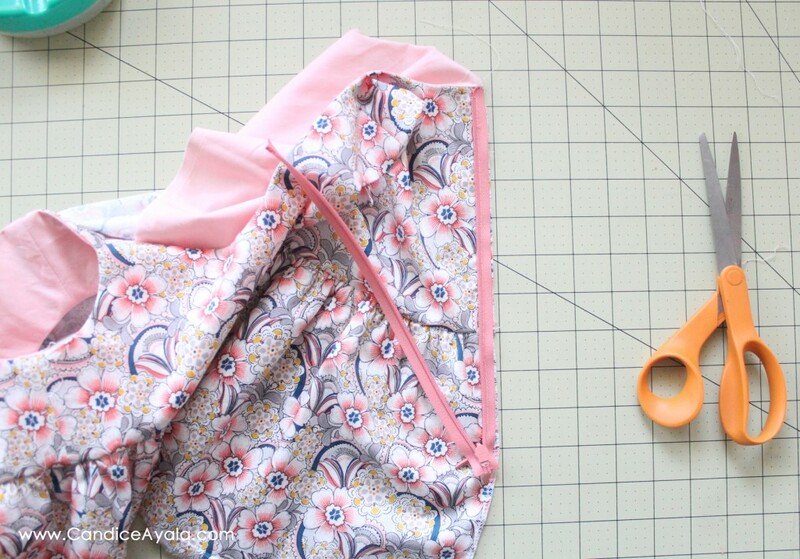 STEP BY STEP TUTORIAL ON HOW TO INSTALL AN INVISIBLE ZIPPER INTO A LINED GARMENT. If your Invisible Zipper is too long, and needs to be trimmed measure and cut your zipper to the appropriate length. Assuming you’ve trimmed your invisible zipper, you will need to create a new bottom stop by simply hand stitching around the zipper teeth. Trim the top tape ends of the zipper. 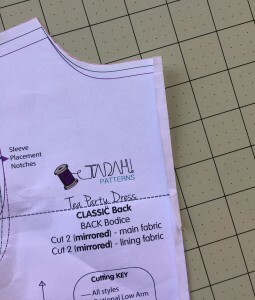 Since the top tape ends will be sandwiched between the main fabric and lining of the bodice, its important that you trim as close to the zipper stop as possible but leave a little length for heat sealing. Heat seal both ends of the zipper using a candle or lighter. DO NOT place ends directly into the flame, hovering slightly above the flame will do the trick. If you don’t have an invisible zipper foot you will need to press the teeth of the zipper away from the tape. Doing this allows you to sew in the groove as close to the teeth as possible. Press zipper teeth open by running iron along the zipper tape as close to the teeth edge (without going over them) as possible. Do not press for long or this will cause the teeth to melt. Unzip zipper. With the back bodice facing you we will be working on the LEFT back bodice piece first. Hold on to the LEFT side of the zipper, turn it over so that the RIGHT SIDE of the LEFT piece of the zipper is facing the RIGHT SIDE of the LEFT back bodice. [So “pretty “side of zipper and “pretty” side of fabric together]. Shift the bodice LINING away and then push the top of the zipper tape end as far up close to the neck seam as possible, pin the tape end down, and then match the zipper tape with the edge of the main fabric and pin that down. 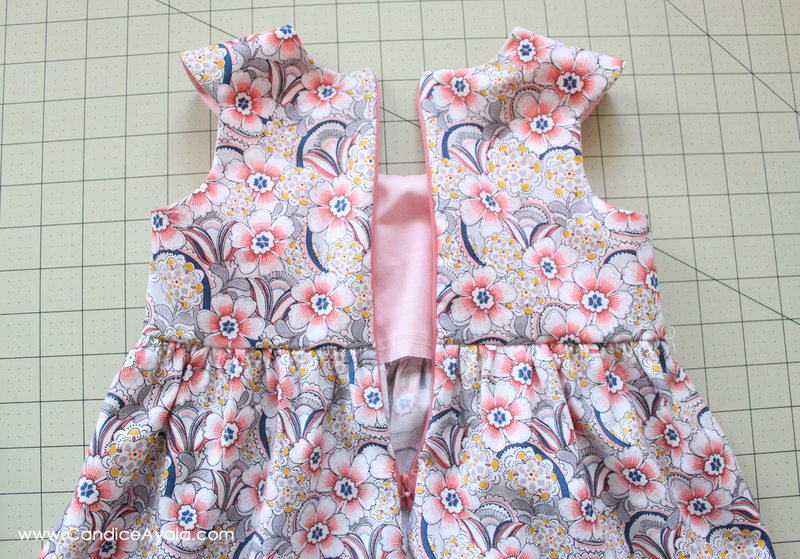 Be sure to only pin the invisible zipper and MAIN fabric together – DO NOT include the bodice LINING. Take garment to the machine. 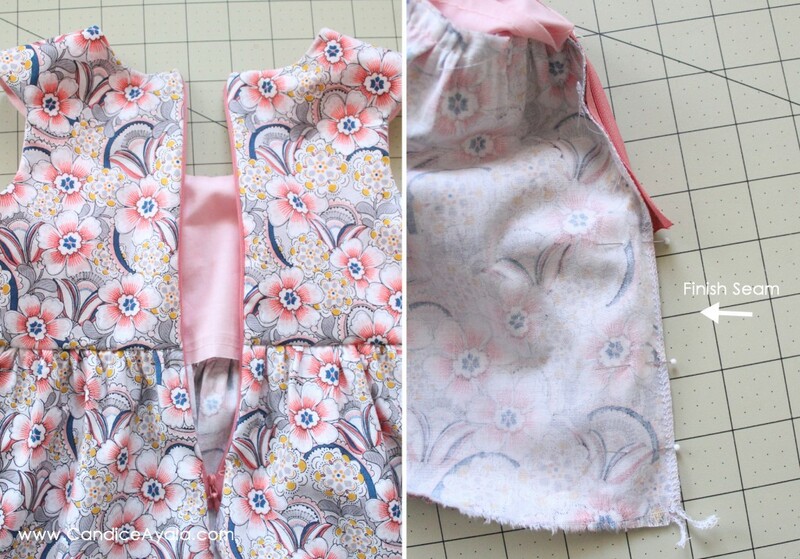 Shift bodice lining out of the way, you will only be sewing the main fabric and invisible zipper together. Once you have your garment set appropriately, use the dials on your machine to position the needle to fall somewhere along the zipper tape. Change your dials to the longest stitch length and WITHOUT BACKSTITCHING sew all the way down until right before the zipper bottom stop. You’ve just basted your zipper to the main fabric. THIS IS A TEMPORARY STITCH AND WILL BE REMOVED, but basting the zipper down prevents the zipper from shifting and allows you to sew the real stitches down more neatly. 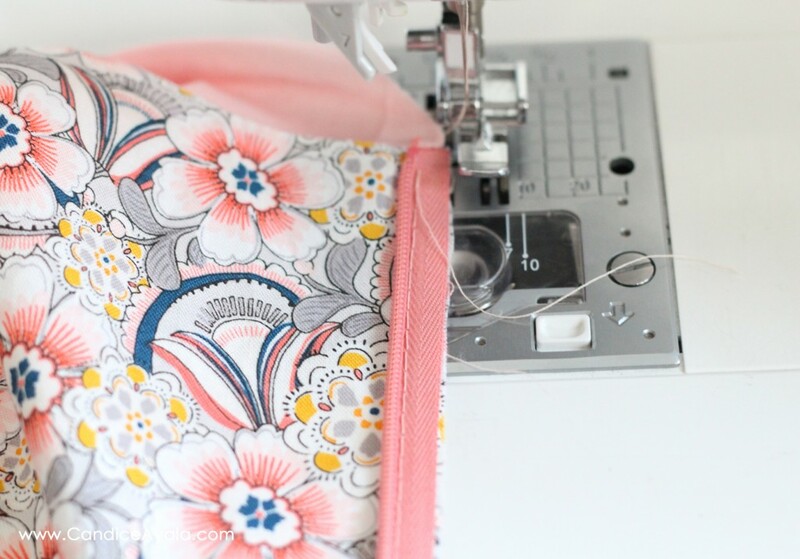 Place your garment under the needle again, adjust your stitch to a smaller length, position your needle as close to the zipper teeth as possible and sew all the way down until right before the bottom stop. REMEMBER TO BACKSTITCH AT THE BEGINNING AND END. You’ve just create your true stitches. 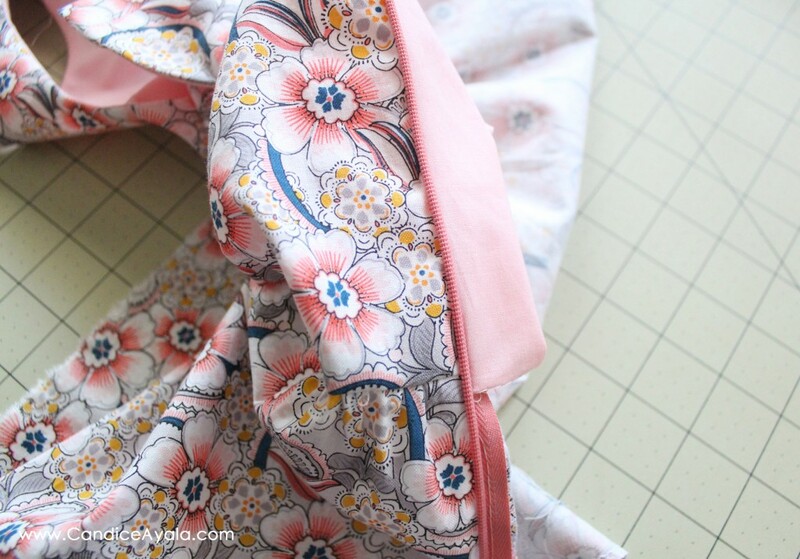 Now that you have sewn the main fabric and invisible zipper together, flip the lining over from the neckline and pin down – sandwiching the invisible zipper between the main fabric and lining. RIGHT SIDES TOGETHER. Then fold the end of the bodice lining a 1/4 inch up from the bottom and pin. This is important for a clean inside finish and you’ll see why later. With the needle at the same position, sew down the lining. STEP 5: SEW RIGHT SIDE AND INVISIBLE ZIPPER DOWN. Now its time to install the right side of your zipper, this is a tricky step, so pay close attention! 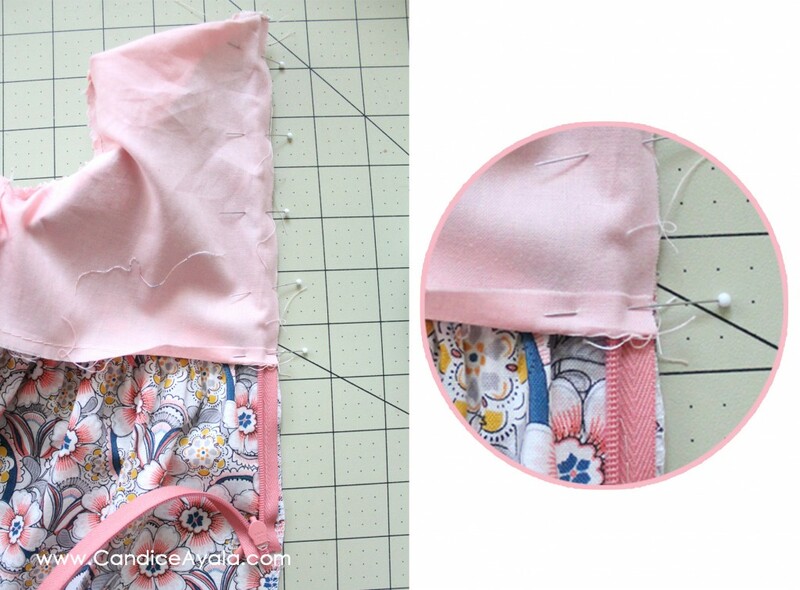 You will take the RIGHT side of your zipper, turn it over (NOTICE THE MAGNIFIED TWIST) and match the zipper tape with the edge of the main fabric. The RIGHT SIDE of the RIGHT piece of the zipper is facing the RIGHT SIDE of the RIGHT back bodice. [So “pretty “side of zipper and “pretty” side of fabric together]. 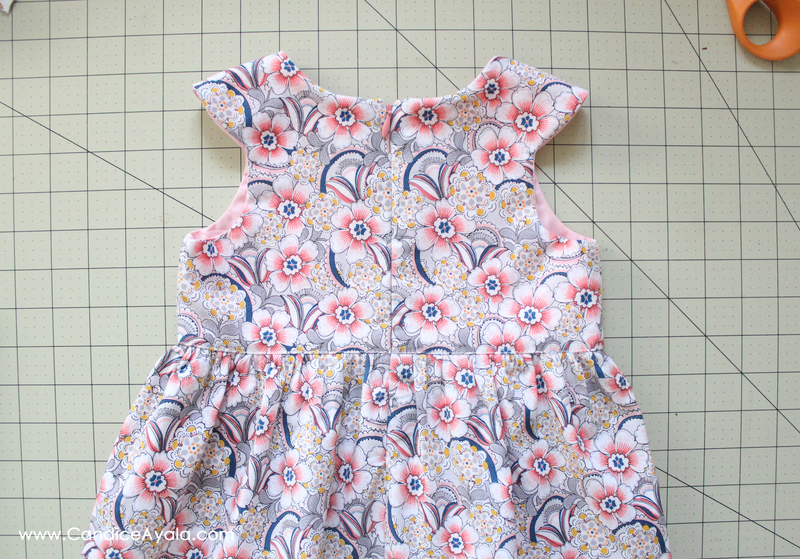 Shift the bodice LINING away and pin. 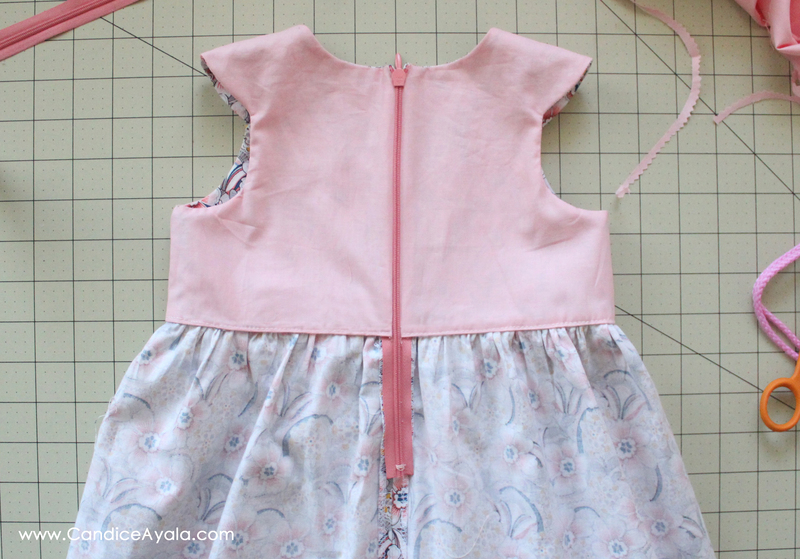 Be sure to only pin the invisible zipper and MAIN fabric together – DO NOT include the bodice LINING. Take garment to the machine. and REPEAT STEPS 3 and 4. AND THERE YOU HAVE IT! You’ve successfully installed both sides of your invisible zipper!! *Double Hi5*!! FINISHING THE BACK SEAM: Now we need to finish the back seam, to do this, zip up your invisible zipper, pin the back skirt seam together and sew down. 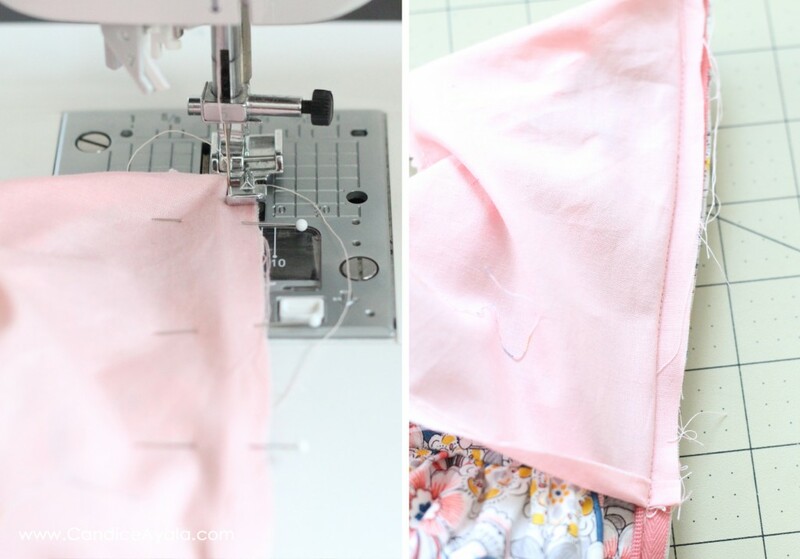 I use the zipper foot to do this as well because it allows me to start right behind the zipper giving me a nice clean seam without any bulk or pull. ENCLOSING THE RAW EDGES WHERE THE BODICE AND SKIRT ARE ATTACHED: Remember in STEP 4 where I mentioned that the folding up of that 1/4 inch at the bottom of the lining was important? Well here’s why! Continue folding the entire bodice up 1/4 inch all around, enclosing the raw edges of the bodice and skirt between the main bodice and lining. Press and then TOP STITCH the bodice to secure the lining. Topstitching should be done on the right side of the bodice. Take your time here and go slow so that your insides are as pretty as your outsides! You can also choose to hand stitch the lining to the bodice here that way there would be no visible stitches on the right side of the bodice. Once you’re done, take a moment to admire your hard work and appreciate just how easy that was! *wink wink* Totally not as scary as you thought it would be right? Haha! I do hope you found this tutorial helpful. And thank you so much for stopping by today! I’ll leave you with some action shots of #thespirtiedone! 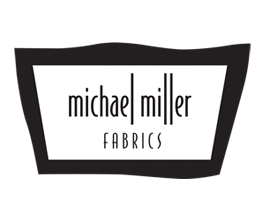 Don’t forgot to join us tomorrow over on Michael Miller Fabric’s Facebook to get a sneak peek of this collection plus another set to release in September, and who knows, you might even get to win the entire thing! haha! Talk to you soon! xoxo. I love this hack! I’m going to give it a go, but just wanted to see if it would work with the racer back option you can do with the pattern? Or would it only really work with the full back? Thanks so much! 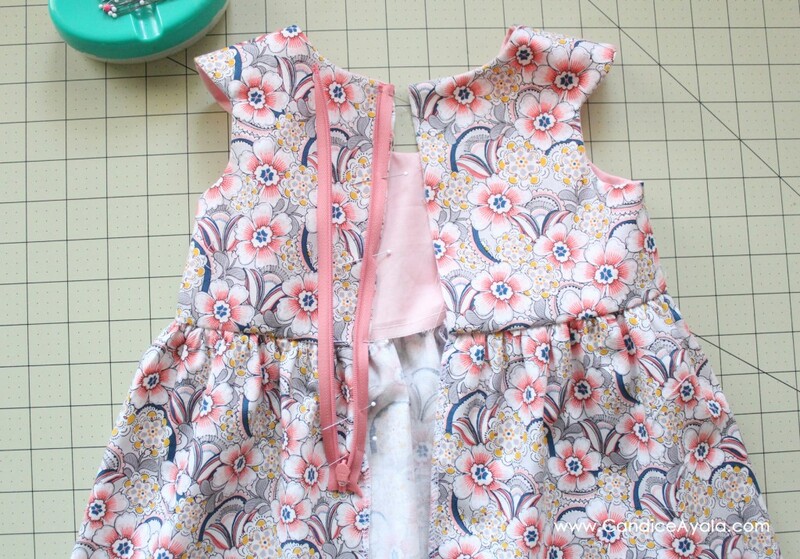 I’m seeing step4 – the lining of the dress is still not sewn at the back sides? Are they already sewn on the shoulders, neck and underarm?